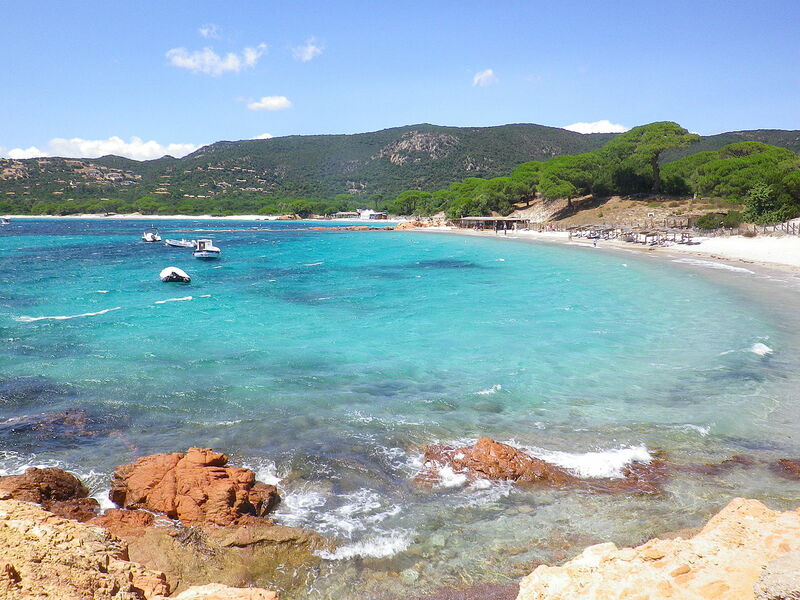 It is considered one of the most beautiful beaches in the North, and among the best in Corsica. Over a kilometer of white sand dotted with pine and juniper trees, ideal for sheltering from the sun and the heat. Crystal clear water, and colors tending to turquoise, make Saleccia the real pearl dell'Agriate and unmissable destination of the island. The beach is located west of Bastia, and can be reached from Sabint Florent, about 25 kilometers from Bastia. From Saint Florent, from April to September, boats leave every day (taxi-boat) that in 20 minutes reach the beach. The ticket, available exclusively in the round-trip version, costs 25,00 € per adult and 20,00 € for children up to 10 years; only during the months of July and August, the ticket always costs 30,00 € for everyone, regardless of age. Taxi-boats leave from Saint Florent at the following hours: 8h30, 9h15, 9h55, 10h50, 11h40, 12h40, 13h30, 14h30, 15h30, 16h30; in the opposite direction, departures every hour from 16: 00 to 20: 00 (last run). More info from here. Near Saleccia, less renowned, but perhaps even more beautiful. It's a small creek, near Punta de Ravijola. It is characterized by white sand and crystalline water, with light blue and turquoise colors; there are also rocks and a characteristic bridge. Every 30 minutes, from 09: 00 to 18: 00, boats leave from Saint Florent arriving at the beach; the crossing takes about 15 minutes. Vice versa, from the beach to go back to the city, he ran every half hour from the 11: 30 to the 19: 30 (last race). The service is active every day from April to September; the return ticket costs 16,00 € Per adult, 10,00 € for children from 2 to 10 years and is free up to 2 years. From 15 July to 31 August, the ticket costs 20,00 € per adult and 12,00 € up to 10 years. You can reach Saleccia da Loto, and vice versa, through two different walking routes. The first, crosses the Sentier du Litoralin the shade of pine trees; it takes about 75 minutes to reach the other beach. The other path, really beautiful, crosses the scenic route, and offers beautiful and evocative views of the two bays: really beautiful. The latter, by the way. It can also be traversed in 4X4. At the heart of the city of Saint Florent, it is very popular because of its location and because it is easily accessible by land. Rich in accommodation facilities, it is especially suitable for children thanks to the backdrop that slopes very gently. White beach and crystal clear water characterize La Roya. Beach services, showers, and availability of several parking lots, both free and paid. The splendid and renowned town ofHaute Corse, can boast the presence of several beaches really beautiful and different from each other. The Gulf is located right in front of the Cote d'Azur and enjoys a favorable climate because it is well protected at the ends. La PINEDE it is the most known beach, because it is central and not far from the port. Very busy and super crowded in high season, it is equipped with everything; you will find access for the disabled, showers, bathrooms, clubs, restaurants, free or paid parking, playground for children. As mentioned, it is located in the center of the city and can be reached easily by following the signs for Calvi. The name is due to the presence of the Pinewood that surrounds this long stretch of white sand. You can rent pedal boats and practice water sports: here you can also find the Nautical Center. In high season it is advisable to arrive early. On the other hand, those who love tranquility and less wild beaches can opt for Plage de l'Alga e Oscelluccia, both reachable by foot through a special path. Both are quite small: the first is really beautiful with crystal clear waters and only 100 meters of beach. Given the size, in high season it is necessary to arrive early. Of the second, it must be said above that, despite being beautiful and quiet is completely devoid of shaded areas! History and truly wonderful landscapes, make of theIle Rousse one of the island's most loved coastal villages. 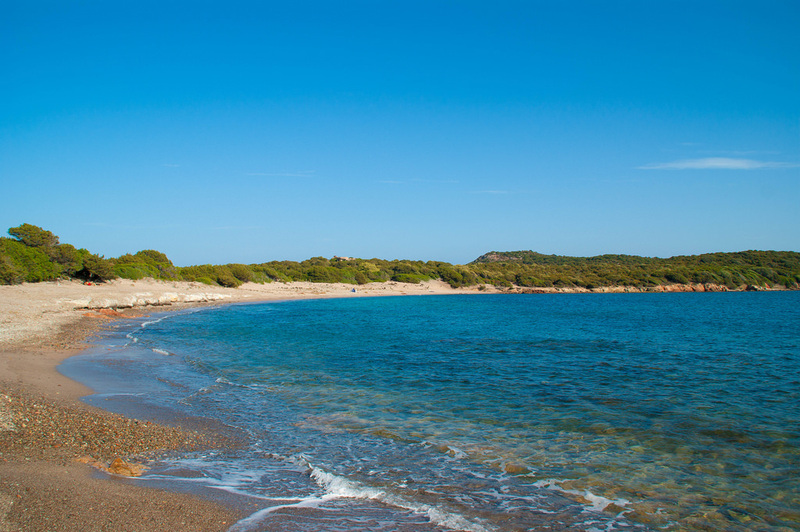 Napoleon e Caruchettu, are the two beaches of the center, suitable for all tourists and in particular for families. Easily accessible, both have ample parking. The first one is bounded by the Promenade Marinella (it is also defined Plage Marinella); it is central, full of restaurants and clubs. Both are characterized by crystal clear water and fine white sand. 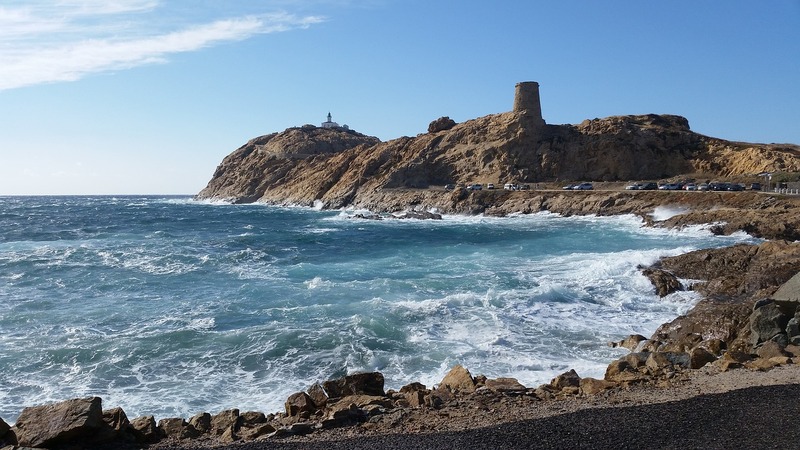 In the area, taking the Porto area and passed Plage Nautique, a beach exclusively for water sports lovers, is accessed byIle de la Pietra, a small island at the end of which is the Lighthouse. Just at the entrance of the island, after crossing the bridge, there is a parking lot where you can leave your car and several taverns. We suggest you follow the signs for Pharo on foot, in about 10 minutes of walking; just passed, on the left, a small path descends down to the small and lonely Crique Stone. It is an inlet with beautiful backdrops, flattened rocks and views of the Piana islet: really beautiful! Between Ile Rousse and Corbara there are two splendid inlets: Giunchetu and Bodri, about 5 kilometers far from the south of Ile Rousse. Giunchetu, or Ghjunchitu, is a beautiful language of fine white sand with crystal clear blue waters, bordered on the sides by rocks. It has ample paid parking and is particularly suitable for families thanks to its depths. Less frequented by the nearby Bodri, even in high season, so we recommend it. Bodri (photo above) a short distance, just as beautiful, has similar characteristics to the previous one. It has ample paid parking, from which you take a small path that leads to the sea. Fine sand, crystal clear waters, it is rather windy, and therefore loved by those who practice windsurfing. 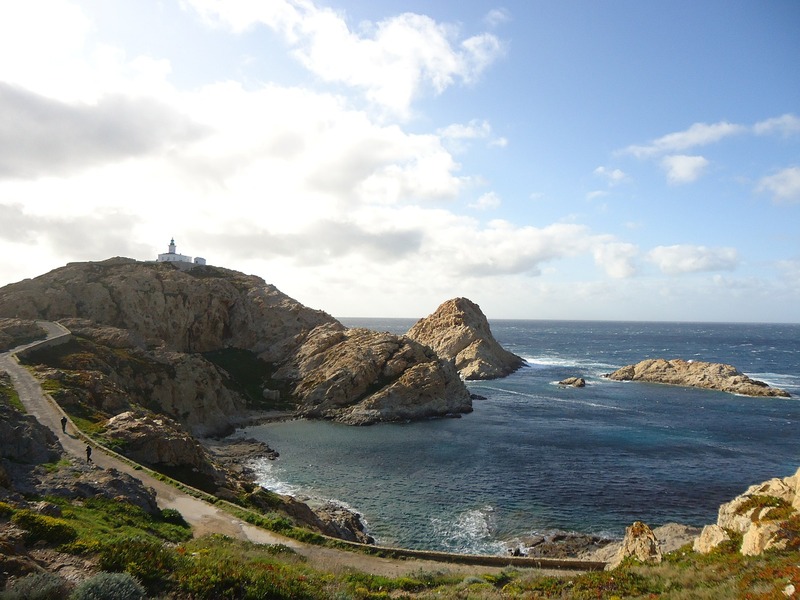 Both can be reached by going to N197 in the direction of Calvi. In the Gulf of Ajaccio, just a little more than 15 km from the capital, lies this beautiful seaside resort that offers numerous beaches and coves for all tastes and needs; tourist beaches and not, small corners away from the crowd, large and small beaches of sand or rock ... Agosta, Ricanto (picture above) e Viva they are the most famous and popular, but the others have little to envy the most famous sisters. They represent the ideal choice for those wishing to spend their holidays in Ajaccio without making significant changes. Located south-east of Corsica, this small town comes alive during the summer, welcoming hordes of tourists in search of the most beautiful beaches in the Ile de Beauté. And, indeed, one can say that there is only the embarrassment of choice here; so much so that in a week you could see as many wonderful beaches, coves and inlets. Palombaggia, Santa Giulia e Rondinara, south of the city, are certainly the best known and most famous. Palombaggia it is a marvelous expanse of extra-fine white sand, with marvelous pines, reddish rocks and incredibly crystalline water, in which uninhabited isalucts rise. Long around 1,5 kilometers, it is particularly equipped with every comfort, restaurants and a large paid parking. 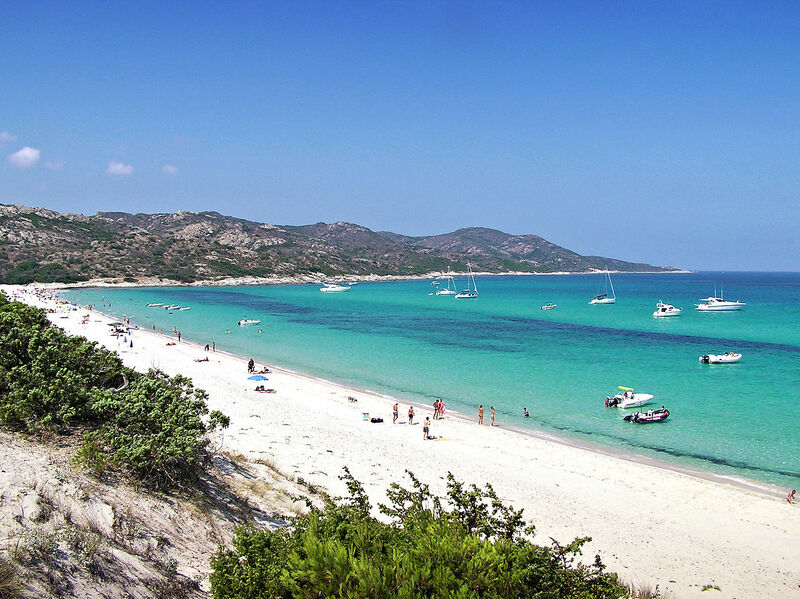 It is among the most crowded beaches in Corsica! In the central area, there is a large stretch of free beach. To get to the beach, exit Porto Vecchio, take the N198 for Bonifacio. Santa Giulia, is an authentic paradise, located in one of the most beautiful gulfs of the island, well protected by rocks, with crystal clear waters, extraordinary backdrops and wonderful beaches. Santa Giulia is well equipped, monitored all year round and also suitable for people with reduced mobility. It has restaurants and ample free parking. Keep in mind, however, that being one of the most famous is also very popular: arrive early in high season. Two different accesses allow you to get to the beach. Rondinara, is a wonderful beach with a rounded shape, set in an inlet between Pointe de Prisarella and Pointe de Rondinara. This conformation makes it very rare to see its waters rough. The sea is transparent, crystalline, with blue colors tending to turquoise; the beach is with fine white sand, framed by the green of the Mediterranean, with the mountains overlooking the sea. The whole bay is a succession of beautiful coves and beaches. Rondinara is well equipped and has ample paid parking and another free area. 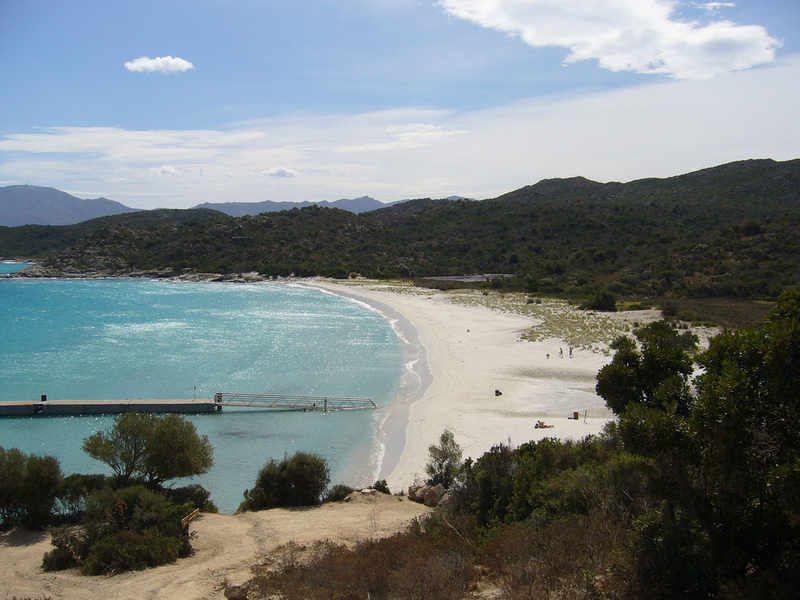 The beach is located between Bonifacio and Porto Vecchio, about 11 kilometers away from each. To reach it go along the N198 and, subsequently, follow the directions on the D158. It is one of the unmissable destinations of the your holiday. To the west of Bonifacio is the splendid Plage de Roccapina, in the splendid Sartenais. Roccapina it is a protected natural area of ​​particular ecological and faunistic interest, with the setting of the Lion's Rock. Beach of fine white sand, less than half a kilometer long, with crystal clear sea with colors tending to turquoise-blue. It's really beautiful. It is reached by going through the N196 from Bonifacio to Sartène, and then following the signs, you follow a stretch of dirt road to the two large parking lots; from the one on the right, also the path that leads to the Lion's Rock. Seaside resort located about 60 kilometers south of Ajaccio. All the coastline, up to Sartène, is a succession of beaches and beautiful bays, all wonderful, suggestive and to be discovered: there is only the embarrassment of choice. 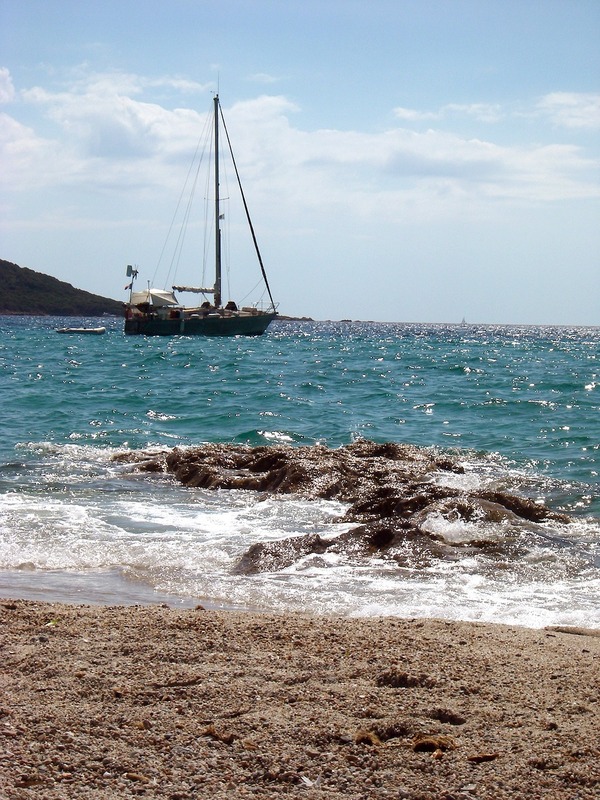 Plage de Portigliolo, is located near the airport of Propriano in a preserved area. It is characterized by the presence of numerous small lakes that give the beach a very particular aspect; about 2 kilometers long, with white sand and often rough water, is the ideal destination for surfing lovers. Very popular also among naturism practitioners. Like many other beaches on the coast it is difficult to access; You follow a path on foot from the village, just left the car. Plage Campomoro it is an excellent exception, as it is easily accessible, following the signs for Belvédère-Campomoro, along the D121. Well equipped, with clubs and restaurants, has free parking. Just under a kilometer long, with fine white sand, protected on both sides and, therefore, poorly ventilated and with little crystalline water. 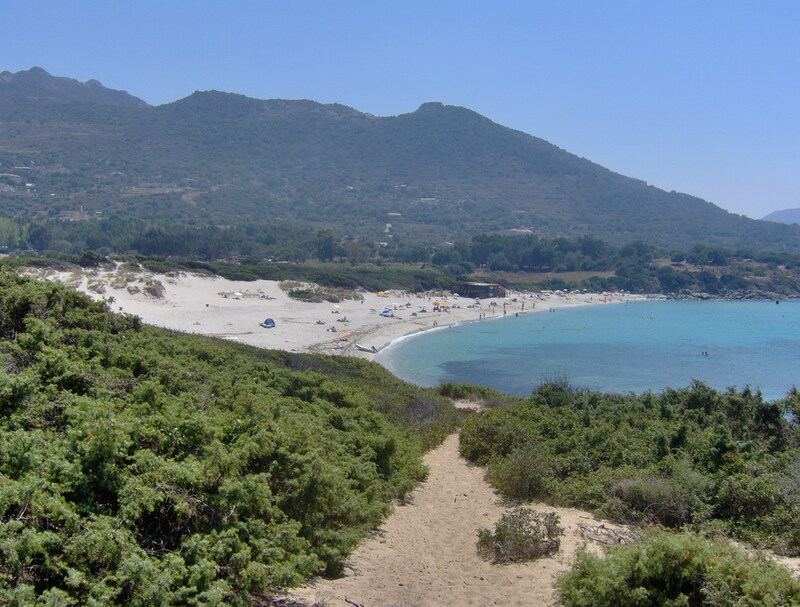 About 15 minutes north of Propriano, you reach the small and picturesque village of Olmeto, located in the height, which boasts the presence of numerous coves and really suggestive inlets; ideal for lovers of relaxation, tranquility and for all those who love the wildest and most unspoiled beaches. In the 20 kilometers of coastline that goes from the small village to Propriano, the choice is quite varied. You can choose from Tenutella, Abbartello, Scodi Neri, Piscona, Plage Ruesco, Capicciolo, Marinca e Capacci. 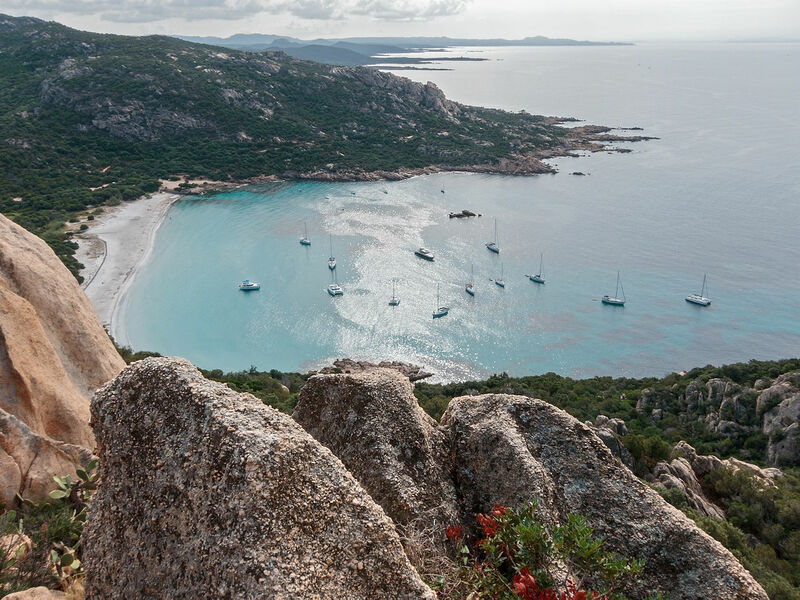 The beach, however, that you really can not miss to visit, in the South of Corsica is Cuparbia, located in the homonymous and beautiful bay, in a beautiful and picturesque postcard landscape. A long stretch of white sand with small dunes and cliffs that rush to the sea, protected on both sides. The water is really beautiful with shades of light blue and blue. Another strong point is the fact that it is not very popular even in high season, and, in any case, nothing comparable to the influx of the island's most famous beaches. Coming from Propriano, just take the north direction to Porto-Pollo, and then, for 6 kilometers the D155 for Coti-Chiavari: there are several reports along the way to the beach. Free parking is available on site and some restaurants in the area. Undoubtedly, it is impossible to list all the beaches of the island and we are sure to have done a huge wrong not to take into account many others. The only and only advice is to start discovering the best according to their needs and tastes; any area is right for you: just stop, look and choose .... the right one.